Hungarian Prime Minister Viktor Orban announced on Sunday a raft of new tax and loan benefits for families as part of efforts by his government to increase the birth rate while holding a hard line against immigration. 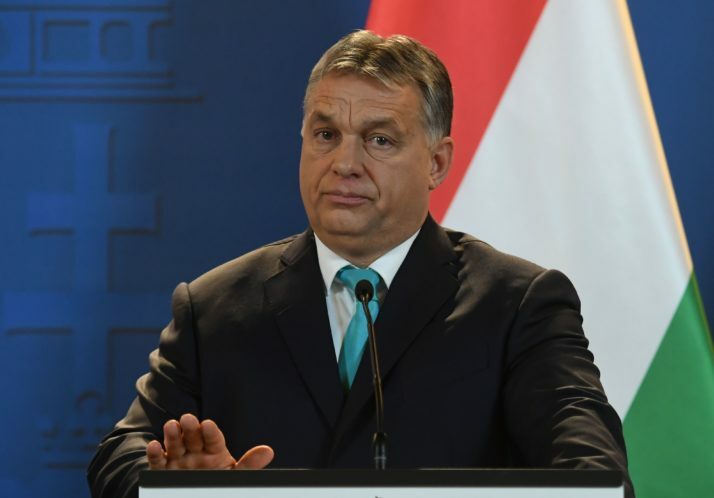 Orban, one of the most outspoken critics of mass immigration to Europe from the Middle East and Asia, also said that his government aimed to keep economic growth 2 percent above the European Union average in the coming years despite an expected global slowdown. “There are fewer and fewer children born in Europe. For the West, the answer (to that challenge) is immigration. For every missing child there should be one coming in and then the numbers will be fine,” he said in his annual state of the nation speech. “But we do not need numbers. We need Hungarian children,” Orban said, announcing a seven-point program of benefits for families and newly-weds. Women below 40 who marry for the first time will be eligible for a 10 million forint (27,816.41 pounds) subsidized loan, Orban said. A third of the debt will be forgiven when a second child is born and the entire loan waived after the third child. “This is the answer for Hungarians, not immigration,” Orban said.